A lot of life happens in the kitchen. No matter how different our lifestyles may be, a lot of activity revolves around the kitchen: Cooking , preparing a quick snack, eating breakfast or a 3-course dinner with family or friends. Not only do we socialize in the kitchen, getting together with family and friends over a cup of coffee or a glass of wine, the kitchen is one place that needs to be both beautiful and functional. This raises a double challenge of do’s and dont’s in kitchen design. Because of this specialists warn us about the 10 mistakes we should avoid in order to achieve both practical and elegant kitchen design. 1. Don’t obstruct access to the kitchen triangle. Specialists refer to the sink, stove and refrigerator as the kitchen triangle, the area of greatest activity which requires careful planning and unobstructed access. 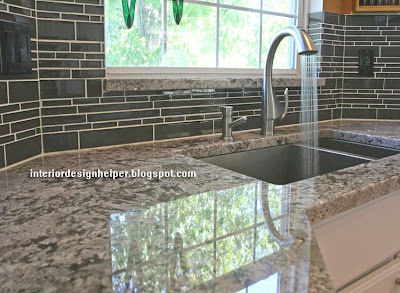 Of the three, the sink will see the most action and should have easy access to the stove and refrigerator, as well as your countertop workstations. Regardless of kitchen size or layout (L-shaped kitchen, galley, U-shaped or Island style), the sum of all the legs in a work triangle should not be less than ten feet and greater than twenty-five feet. If the sum of the legs in the work triangle is too small, people will be tripping over each other and if too large, food preparation could be a very tiring task. 2. Don’t waste storage space. Kitchens typically contain lots of stuff. Not only that, but items often concealed behind built-in kitchen cabinet doors can be oddly shaped and require a lot of space, such as food processors or stand mixers. Finding a home for your kitchen stuff while keeping it easily accessible can be a tricky proposition. Because built-ins are expensive and the overall size of the area you’re working with may be limited, one big design mistake is not including enough storage. Install shelves across the backs of the lower kitchen cabinet as they will save you nearly a 2 foot by 2 foot or 4 square foot potential storage area. 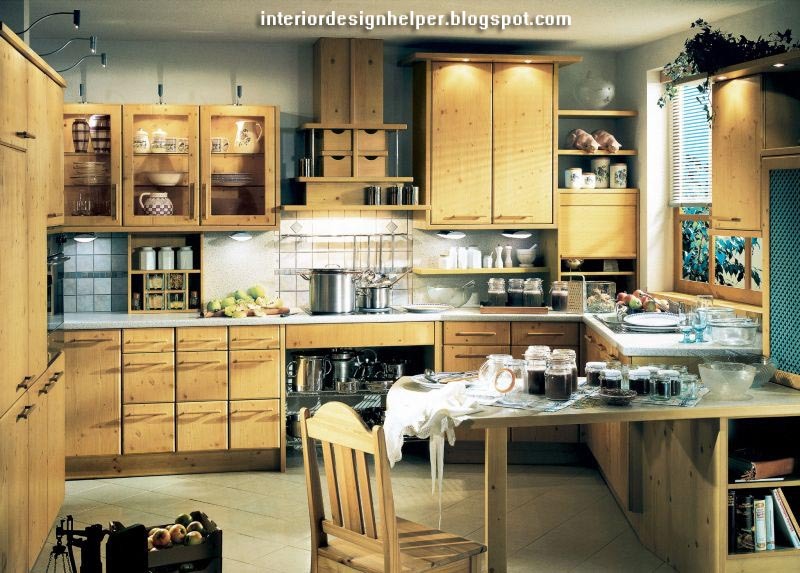 Otherwise, the kitchen will feel smaller than it is because you will constantly be trying to find more storage space. 3. Don’t ignore counter-top work space. 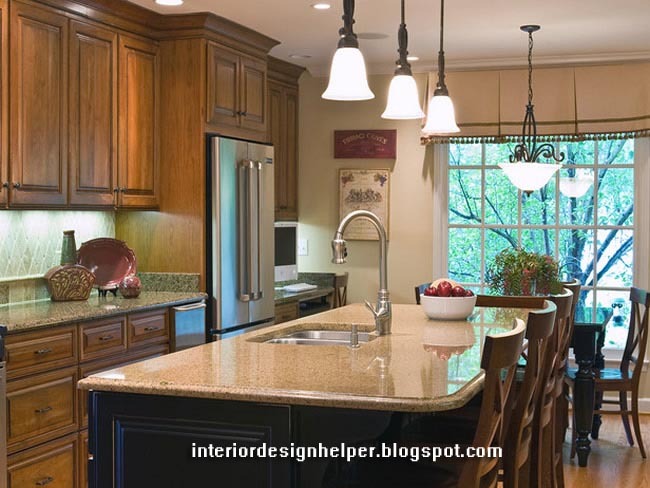 One of the biggest complaints about kitchen design is the lack of counter-tops. Consider all the kitchen activities that require a counter-top, as well as appliances that are permanently located there, you might want to fit as much open horizontal surface areas in a kitchen as possible. This may be achieved by adding an island or breakfast bar to an L-shaped kitchen. The kitchen is one room where you can’t afford to have poor lighting. 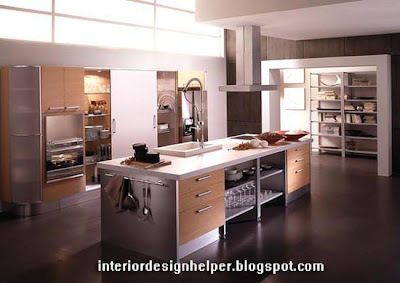 It’s not only a matter of design and atmosphere, but also a safety matter when it comes to handling sharp kitchenware. Rooms generally need three types of lighting: general lighting for overall illumination, task lighting, and accent lighting. 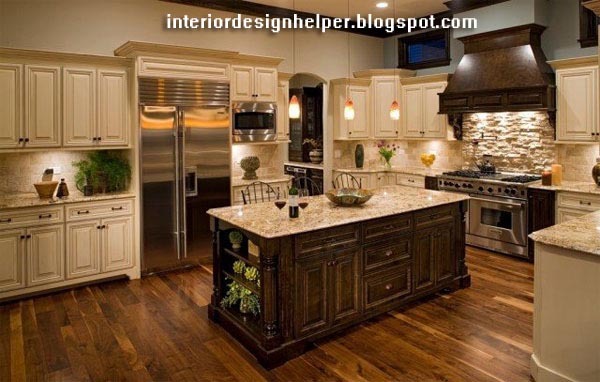 For the kitchen you especially should evaluate the work areas and focus on how you can provide each spot with the light it needs. Consider adding lighting directly above all the main working areas, use pendant lights or a series of mini-pendants in areas where these can enhance the lighting and beauty of the kitchen. 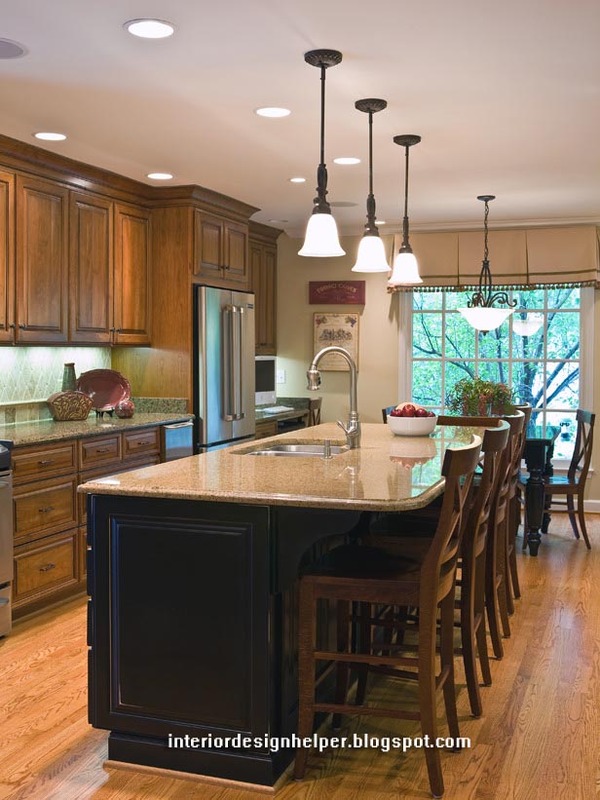 Pendants look great above kitchen sinks, while a series of mini-pendants enhance the appearance and lighting of breakfast bars and kitchen islands. Also, install under-cabinet lighting as an additional way to ensure that the counters have sufficient lighting for common kitchen tasks. After all, the more light you have in the room, the better you can show off all of those amazing design elements you’ve added to the space. 5. Don’t forgo a back-splash. 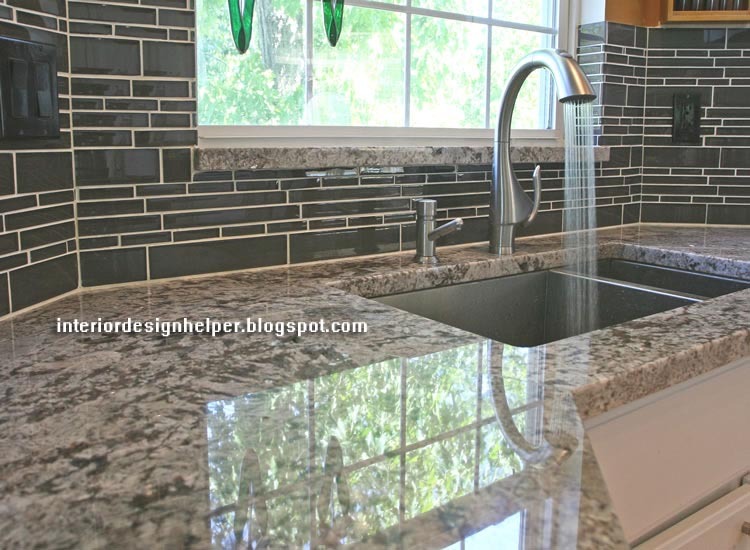 While budgeting or designing a new kitchen or kitchen remodel, sometimes the backsplash considerations slip to the end of the list. Occasionally, the backsplash area is completely left out of the plan. This is one mistake that saves you money on the short term, but on the long run costs you a lot of time and effort. Imagine the steam, high humidity and grease content in the kitchen and you will understand why installing a backsplash behind the oven and extending it above all the counters throughout the kitchen is a smart idea. It is much easier to clean grease off a backsplash made of tile, metal, or plastic, than wall paint or wallpaper. 6. Don’t forget to ventilate. 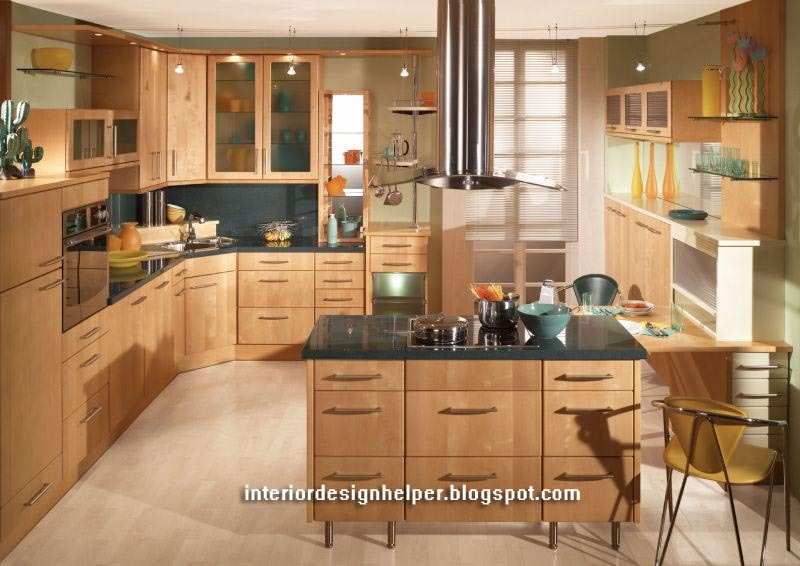 The best of kitchen design fades in the presence of bad smelling air. If you’ve ever walked into someone’s home and smelled last night’s fish&chips lingering on the stale air, you’ll understand the importance of good ventilation. 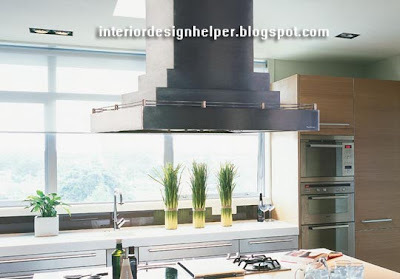 Inexpensive range hoods simply circulate dirty, stale air, while a good ventilation system will help improve the quality of your indoor air and also help keep your kitchen cleaner. Effective ventilation systems also help extend the life of your appliances and although they can be an investment, if you have a kitchen that opens to a living area or family room, they will make life easier, cleaner and more pleasant for everyone. 7. Don’t choose a wrong kitchen island. When it comes to kitchen islands we generally think of additional storage, preparation and serving space in the kitchen, but the fact of the matter is that kitchen islands can waste a lot space. Choosing the wrong island or placing it in the wrong spot can be a disaster, especially in a work area that can get over cluttered. 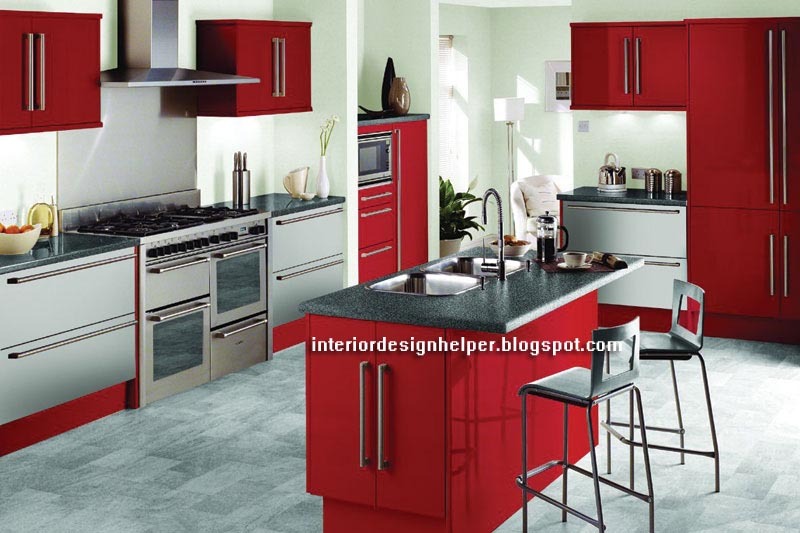 Islands that obstruct the flow of traffic to and from the sink, refrigerator, stove and primary workstations will create bottlenecks and major hassles. At minimum, an island should be 4 feet long and a little more than 2 feet deep, but it must also have room for people to move and work around it. Specialists recommend that unless the kitchen is at least 8 feet deep and more than 12 feet long, one shouldn’t even consider an island. 8. Don’t ignore your recyclables. These days, with the advent of recycling, dealing with trash in kitchen design has gone beyond sticking a bin under the sink. 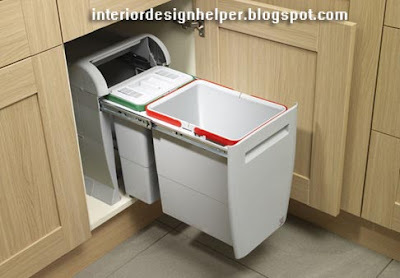 As recycling is here to stay, be prepared to manage your trash efficiently and incorporate trash sorting bins into your kitchen design. Although it’s not necessarily a mistake, choosing the latest kitchen designs and high-end equipment may not be the best of choices. The most stylish colour of the season and trendy designs have a short half-life, and you may never get your return on large investments in the latest kitchenware. Taking over a kitchen design project on your own to save money is a common mistake which can waste more money, time and energy. There are some jobs where, for safety and quality work, a professional is not a whim. 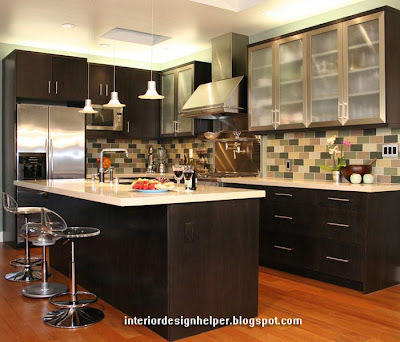 Kitchen designers possess the latest trends, ideas, and manufacturer’s details, help you identify your specific needs and translate those details into an efficient plan according to your taste.